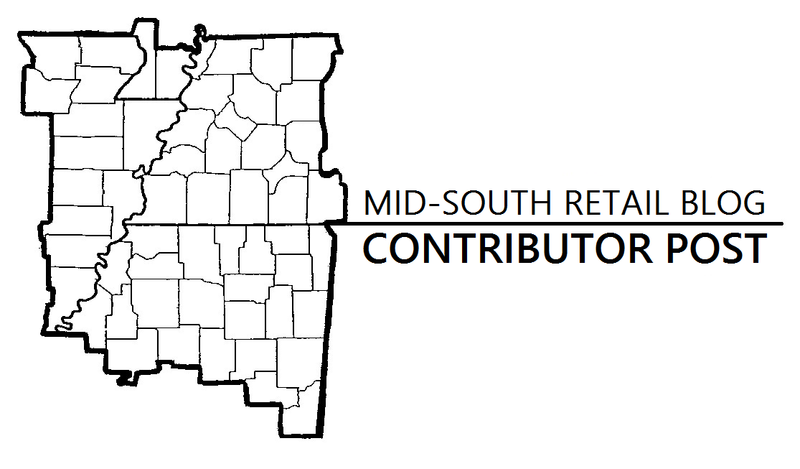 Today's post highlights DeSoto County, MS, retail. As you may (or may not) be aware, April is Rite Aid month here at the Mid-South Retail Blog. As is August. And December. 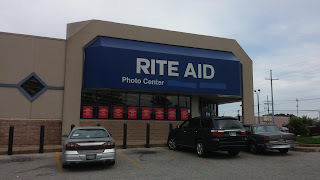 (I have a lot of Rite Aid photos in my archives.) 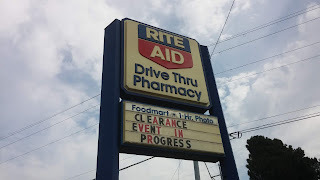 I’ve set these months aside so that I can share with y’all documentation of the mass exodus of Rite Aid stores from the Mid-South region, a phenomenon that is a direct result of Walgreens’s 2017 purchase of nearly half of Rite Aid’s US store base. 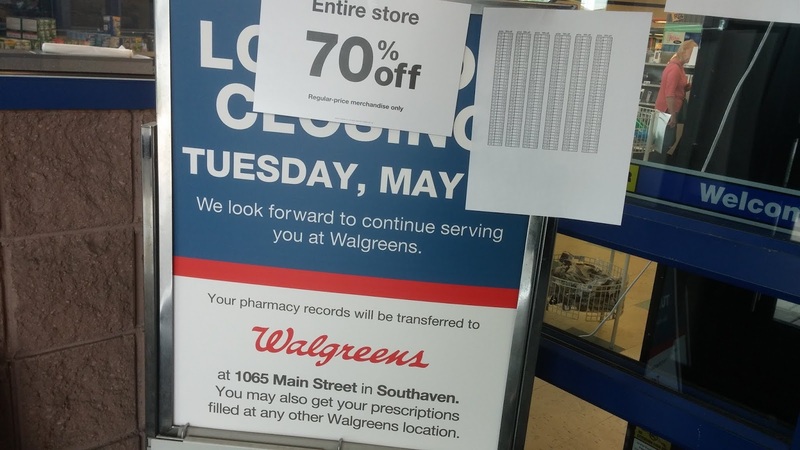 Why, Walgreens has found this process of purchasing prescription records from a rival pharmacy and consolidating operations of the two drugstores into one so effective that just this month, it was announced that they’ve upped the number of Rite Aid store closures stemming from that transaction from 600 to 750. Lovely. 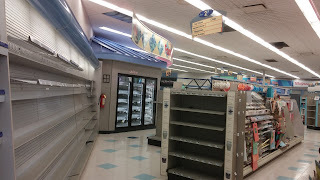 The last Rite Aid post that I published prior to this one – back in December of last year – covered the Horn Lake Rite Aid, as seen during its liquidation sale on May 9th, 2018. 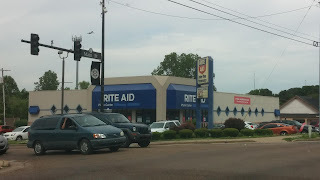 That same day, immediately after my HL Rite Aid visit, I stopped by the other DeSoto County Rite Aid, along Stateline Road in Southaven; it, too, was in the process of closing. 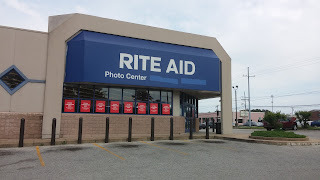 Those photos are the subject of today’s post. Let’s get started! Heading into the parking lot, we find plenty of those same red "STORE LIQUIDATION SALE" signs as we saw over in Horn Lake plastered onto the windows, as well as several other unmistakable signs of a store closing, such as the blacked-out signage for the now-former pharmacy department and pharmacy drive-thru. 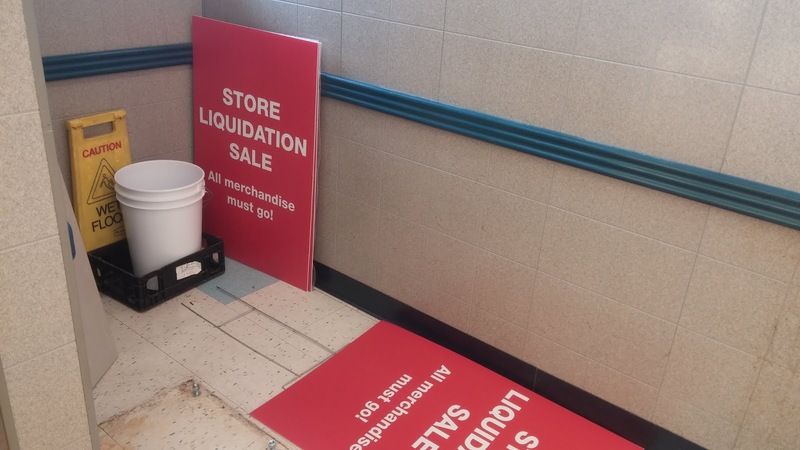 We'll see another indication of this later in this post, but even now it's obvious that the Southaven store here seemed to be regarding its liquidation a bit more, shall we say, "by-the-book." For instance, Southaven had already scrubbed all exterior references to its pharmacy by the time of my visit - which, mind you, wasn't that far into the sale, I don't think - as well as placed a large liquidation banner on the exterior, as seen in the first photo in this post. Horn Lake, on the other hand, had done neither of those things on my visit the very same day; it's quite possible, even, that the neglect to black out the pharmacy signage there was slightly illegal :P To be fair, though, that store did eventually get around to those things a few days later, as l_dawg2000 explained here. This poster on the front window says that the pharmacy had closed as of May 1st, 2018, eight days prior to my visit. 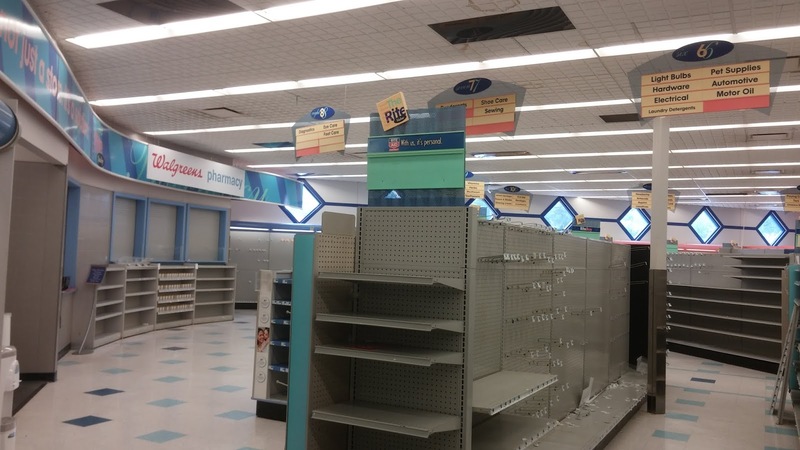 A majority of these Rite Aid closures seem to run brief storewide clearance sales in the days/weeks leading up to the pharmacy closures, then shutter for a day or two only to reopen for a few more weeks for the final, full-fledged liquidation. 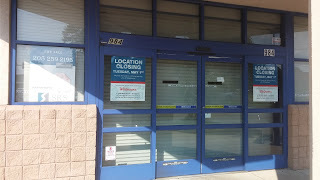 Prescriptions here were transferred to the Walgreens at 1065 Main, which is directly across the street from this store. Rite Aid was at the northeast corner of the Stateline/Millbranch intersection; Walgreens is at the southwest. 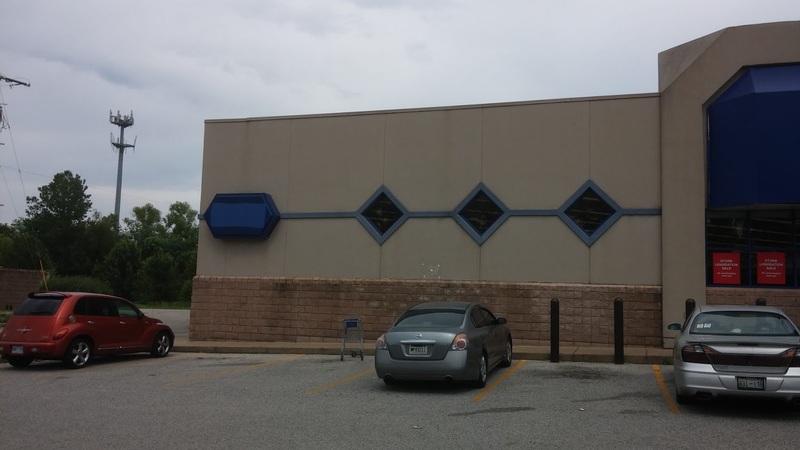 If I were facing the opposite direction for this photo, I'd be looking straight at it. 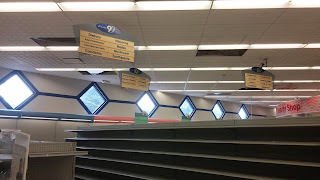 As we step inside, we are (somewhat ironically) beginning our interior tour with a couple of views of the registers. 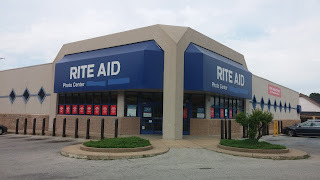 From my experience, these 90s diamond-window Rite Aid layouts are all relatively similar and standard, but the different ways said layouts could be configured due to street-corner orientations confuse the heck out of me whenever I try to compare any of them with one another. 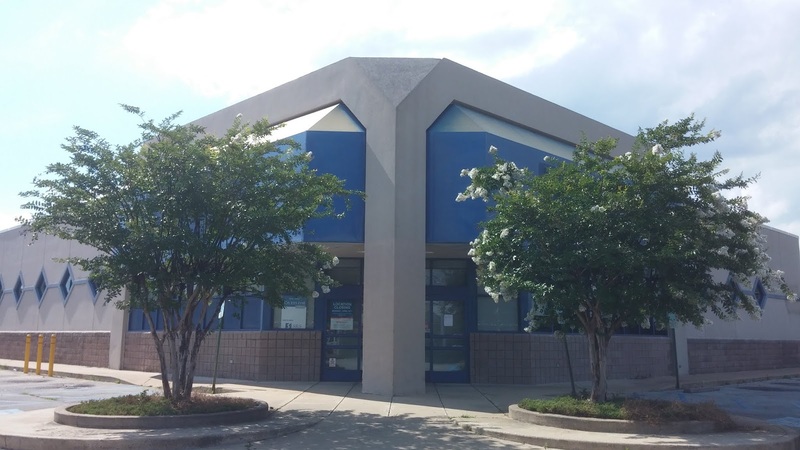 That said, I do know Horn Lake's checkouts were along the right-side wall, as opposed to Southaven's left-side wall placement. 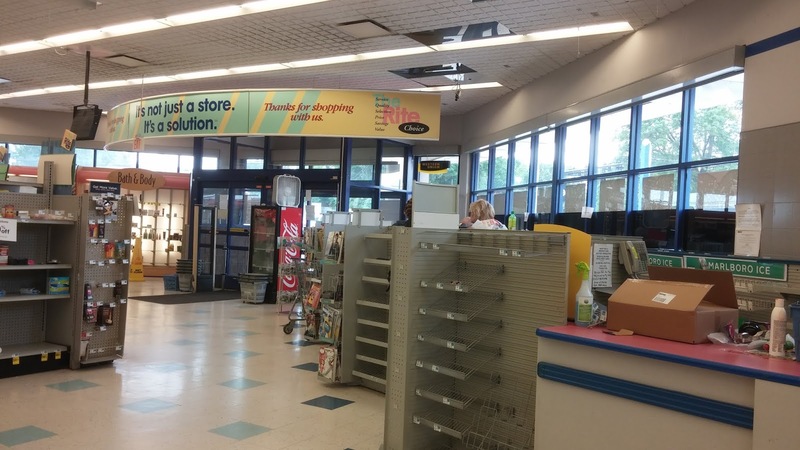 For your reference as you read this post, here is this store's site plan, as seen back in my original post on this store, published - incidentally - one year ago today (at least, as I sit here writing this paragraph). 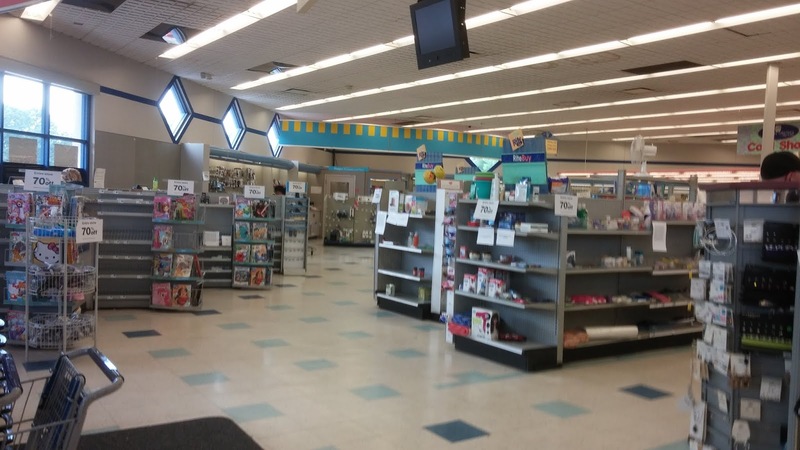 From a retail fan standpoint, I love those classic Rite Aid blue-and-Pepto-pink counters. 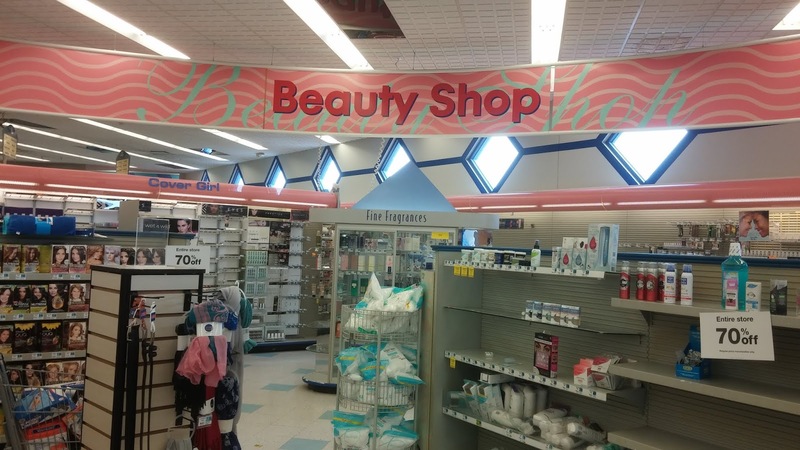 From an aesthetic standpoint... I think they're ugly as sin. Like a good many of their stores, Rite Aid electronics departments are a trip. Some old 90s photo albums shelf signage, nearby the photo center. 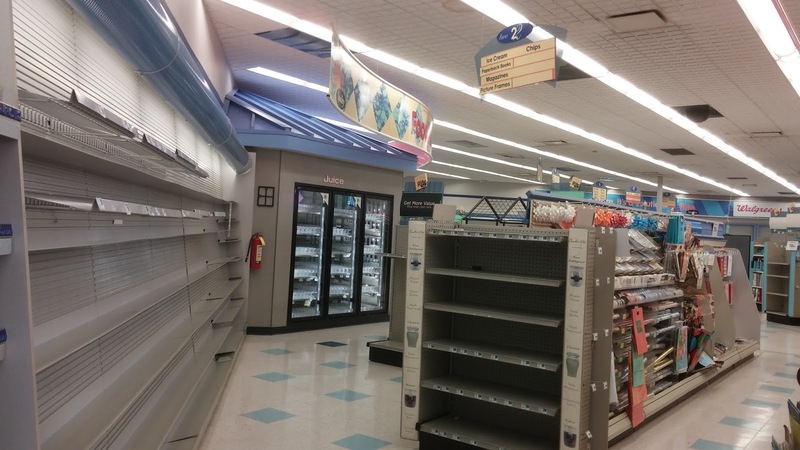 The photo doesn't capture it as prominently, but the merchandise doesn't look like it was all that much newer! That's not always a bad thing, though... for example, it's getting increasingly difficult these days to find good-quality, clear magnetized photo frames for refrigerators, as can be seen in the bottom right of this pic. 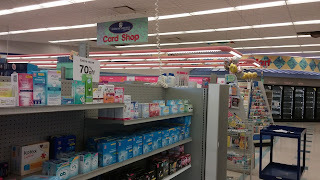 I can't remember if we bought any while we were here. 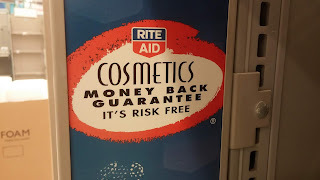 We ought to have, in any case. 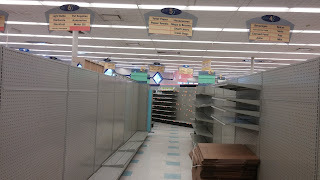 A look along the remainder of the perimeter-wall shelving unit housing those photo frames reveals a whole bunch of nothingness, as we head over toward the FoodMart department. The aisles to my right were steadily emptying out as well. Close-up of the spectacularly 90s FoodMart sign. 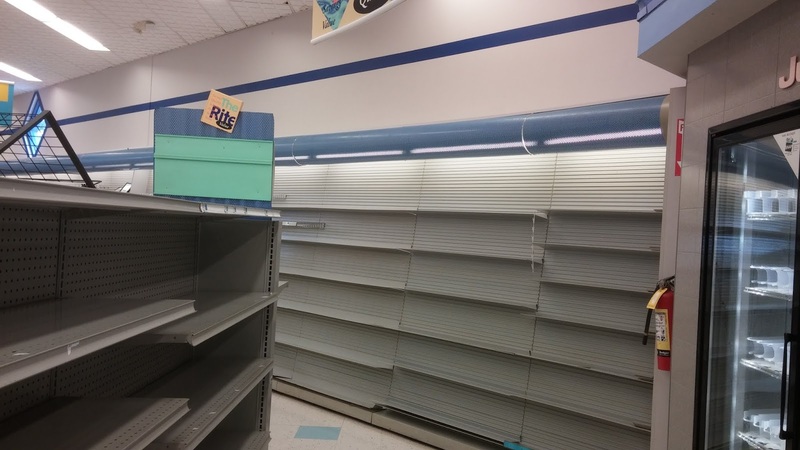 Nothing we haven't seen before. But still cool to take a look at again. 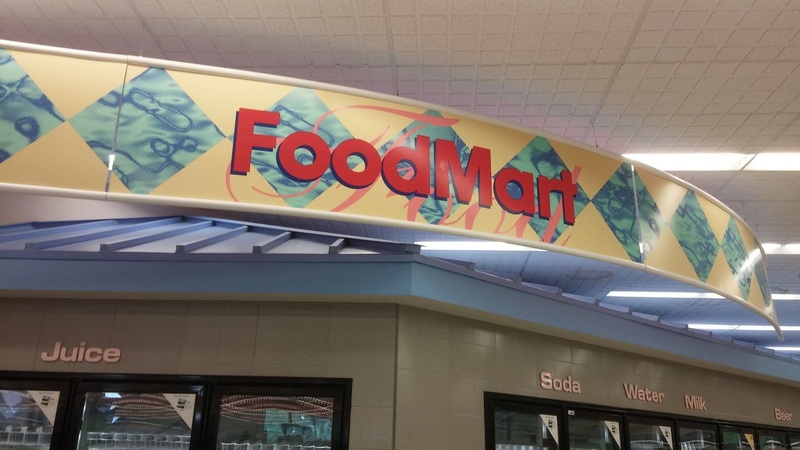 ...followed by a look out along the main actionway leading from the store entrance straight back to the FoodMart, as viewed from the latter. 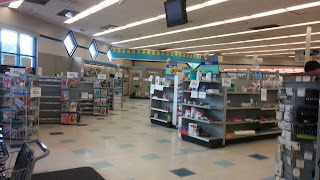 At the FoodMart, the actionway branches to the right (our left, from this vantage point) in order to lead customers over to the (now-defunct) pharmacy counter. 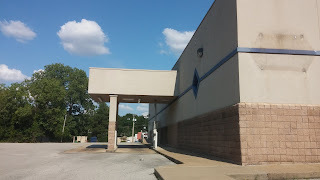 We'll explore that part of the actionway momentarily. 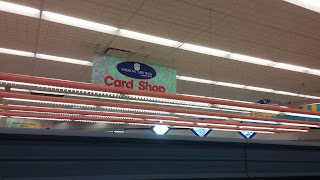 I tried my best to get some views of the Card Shop department sign and its corresponding low-hanging pink light fixtures, but those subjects proved hard to photograph, at least from all the angles I could find. 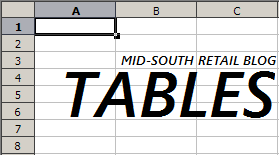 Still, though, what results I did manage are presented here for your viewing enjoyment. 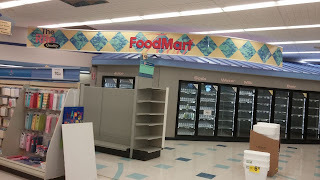 Another look at the FoodMart, this time from straight-on, giving us a better, fuller view of the department. 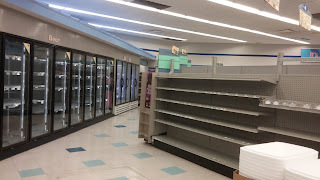 As usual, the signage was placed above the refrigerated and frozen units. 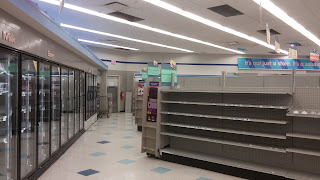 The other food items were placed in nearby aisles, both to the left and right of the actionway. 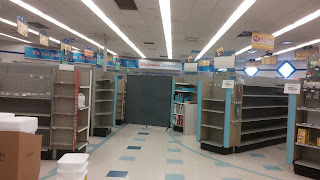 ...especially when I can simply bypass the obstacle by continuing around the perimeter wall instead :P Yes indeed, Rite Aid blocked off actionway access to the right half of the salesfloor, but not perimeter wall access. 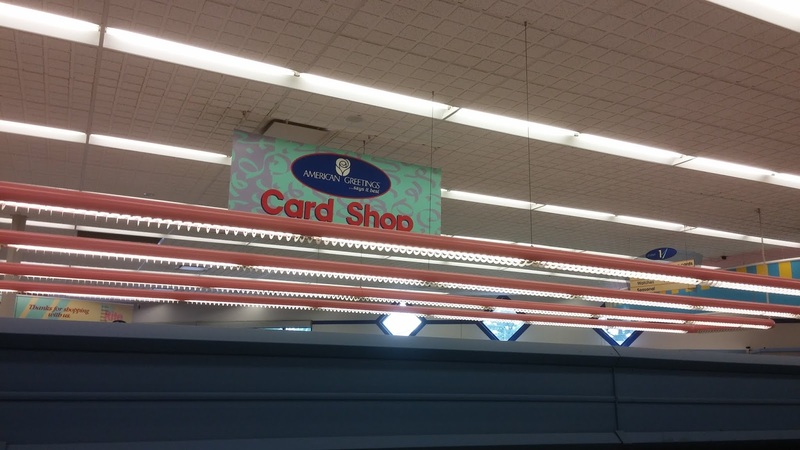 In all seriousness, I would like to make it clear that I didn't feel I was violating any rules by going back here. 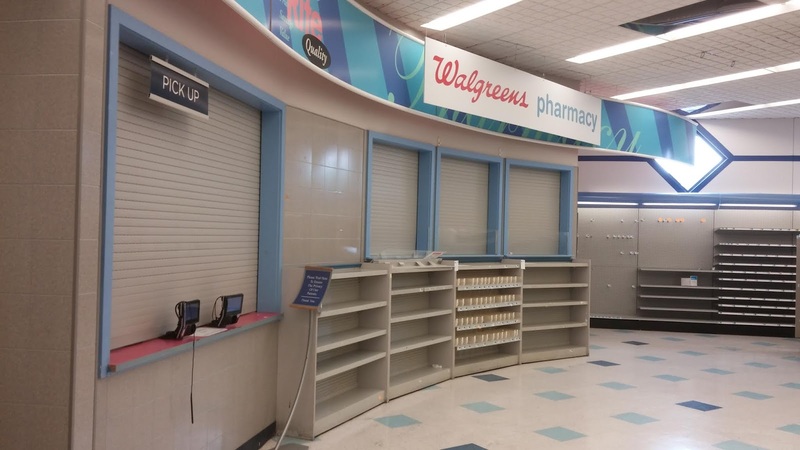 Since it was left open from two out of three access points, the crew simply must have been using the barricade as a way to alert customers that there was no more merchandise this way, hence there was no need to continue onward - a kind gesture, more so than a stern warning. 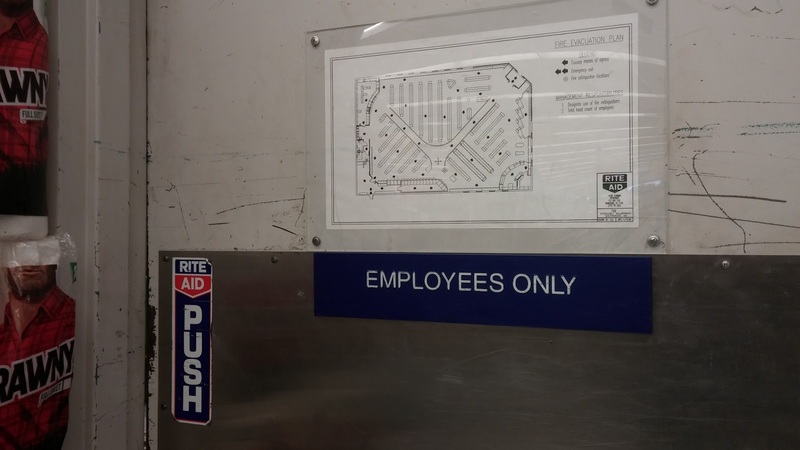 If it had been made clear that this area was, in fact, off-limits, I probably wouldn't have risked it. 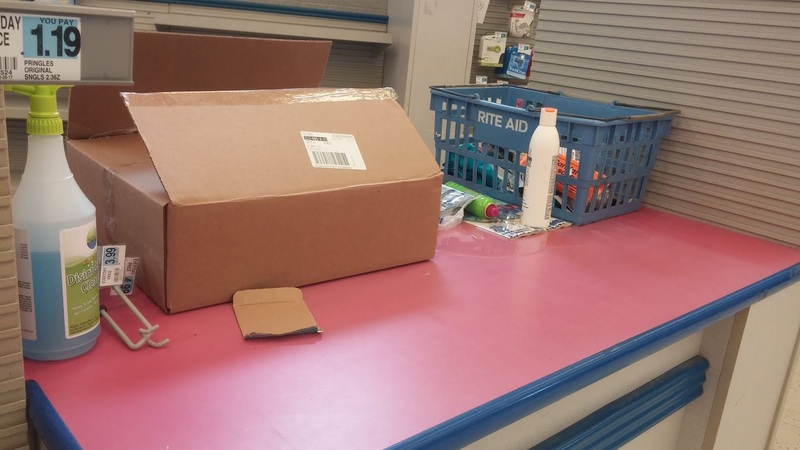 Stuff like that makes me uneasy. Hat tip to my more adventurous friends who do it all the time. Here's another view along the FoodMart cooler wall, over towards the back right corner of the interior. 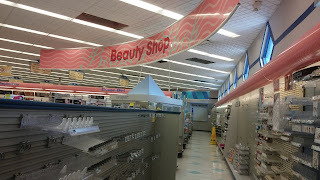 We'll continue to make our way along this path, but I didn't take any more photos of the aisles you see in this shot. 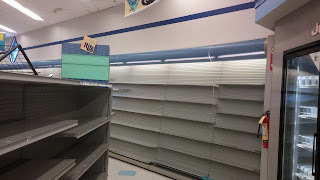 Like I said above, they were all empty... not much worth photographing. 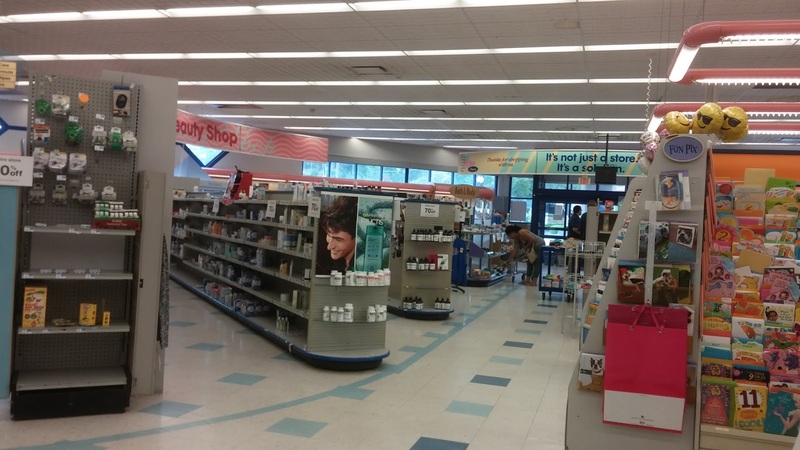 Instead, my main goal was to make it over to the pharmacy counter. 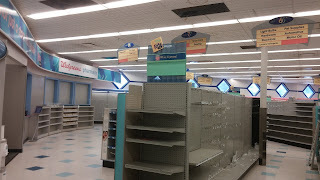 Before we get there, though, here are two random pics I took from within aisles. 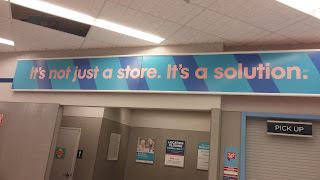 I can't say for sure which aisles they came from, so I figured it would be best just to go ahead and group them together at this spot in the post. 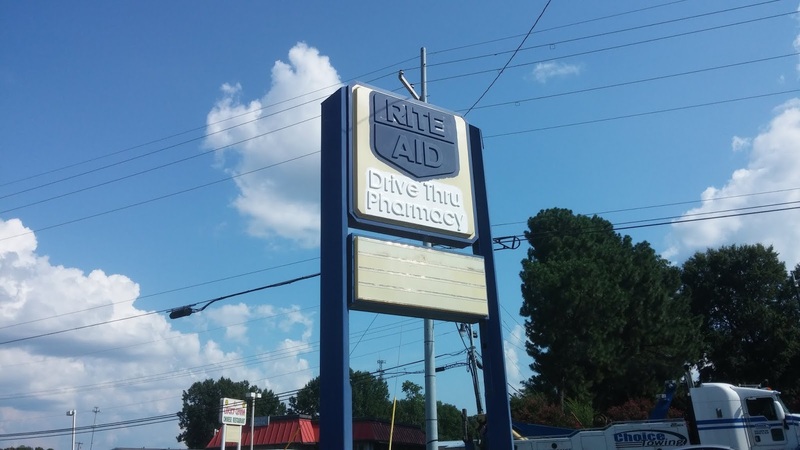 The bottom image shows the Rite Aid logo as it appeared on a relatively new fixture - the same model as this one seen over in Horn Lake, in fact - while the top image shows a decidedly older advertisement for Rite Aid brand cosmetics. 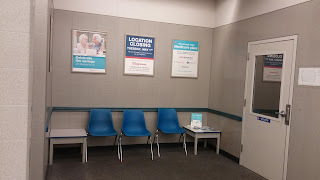 This little waiting room area was located off to the left of the pharmacy counter itself; that's the door into the pharmacy on the right of this frame. Hidden from view on the left is a similar access point, this one to a restrooms corridor. You'll be able to see this better several photos from now (four, to be exact!). 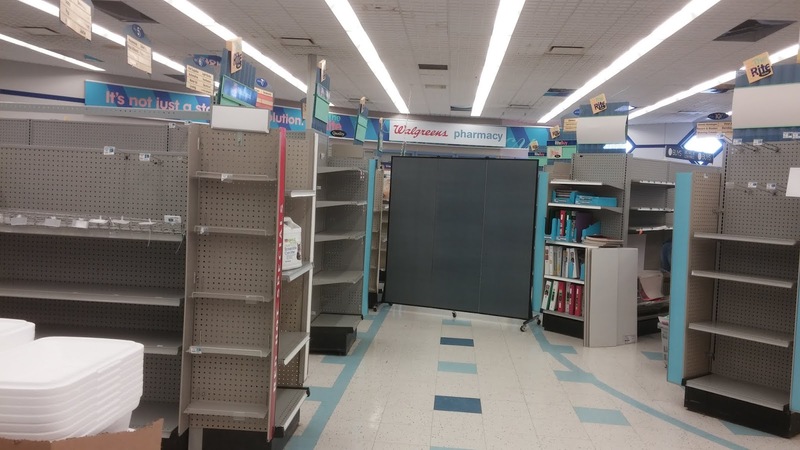 Note how the middle of the three poster frames on the wall had been updated to reflect this pharmacy's closure. 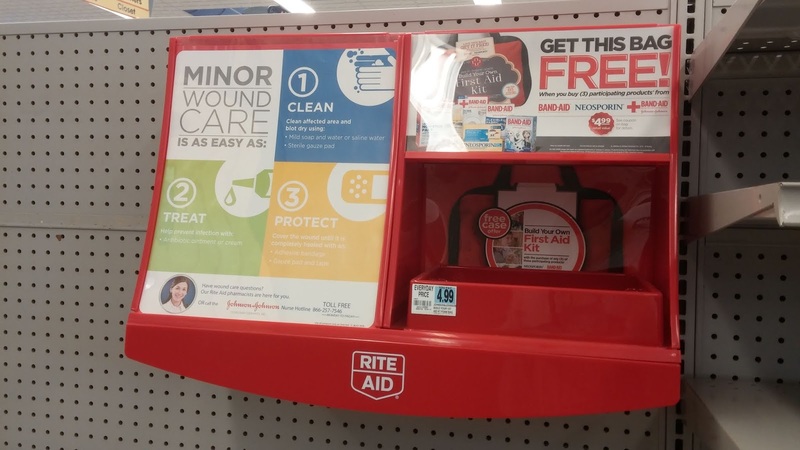 Below it, on that side table to the right, sat some pamphlets bearing similar news. I wish I had thought to take a closer look at that standee with the relocation map. 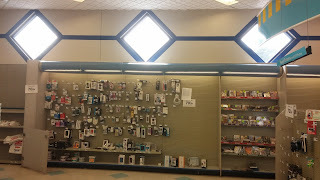 I think that would've made a good picture. As we approach and begin to investigate the pharmacy counter itself, we see that it has clearly been shuttered - with all those windows now totally sealed off - if not debranded. 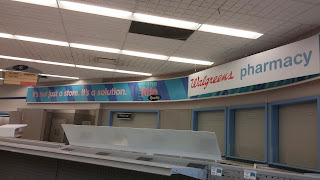 Well, I suppose you could argue it was debranded once, when the Walgreens Pharmacy sign was placed in front of the existing Rite Aid Pharmacy décor (in a rather poor cover-up job, I might add). But it had yet to be debranded a second time in accordance with the pharmacy's closure. The left half of the still plainly visible Rite Aid Pharmacy signage continues to reflect the chain's current-at-the-time "It's not just a store. It's a solution" slogan, in lovely pastel pink against the ribbons of pastel blue and pastel purple. 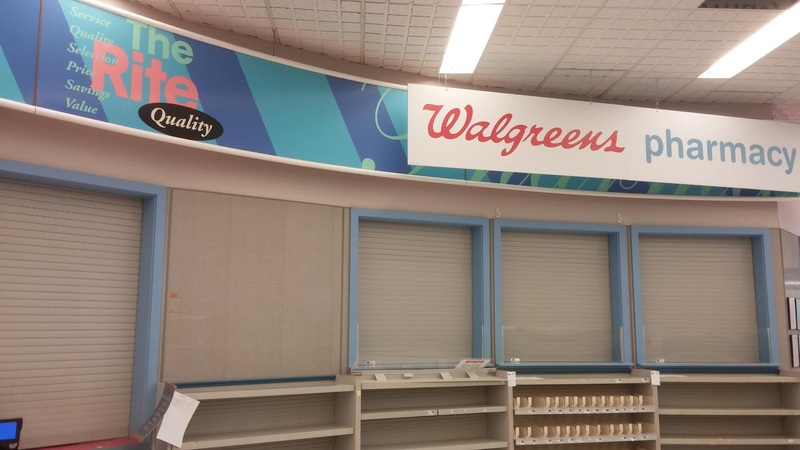 As always, isn't 90s décor great? 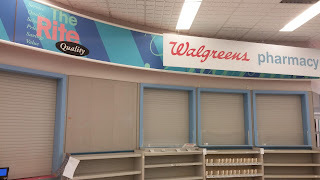 :) The little Walgreens "W" speech bubble logo icon near the bottom right of the pic even looks like it almost matches the existing décor, with that light blue background color. 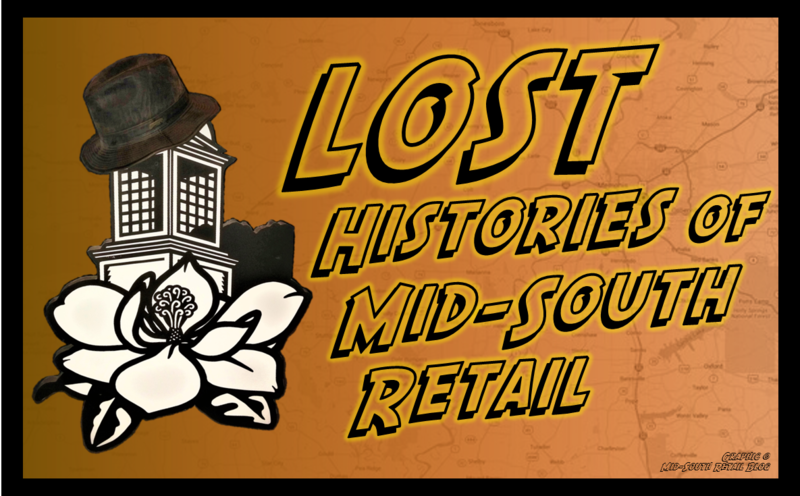 Who says past style never comes back into fashion? 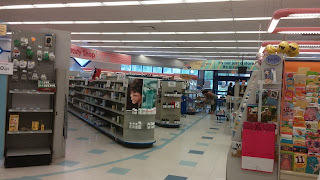 Here's a glance from the pharmacy out across the front wall of the store - or, an attempted such view, anyway; it's rather difficult to work around all that tell shelving, though! 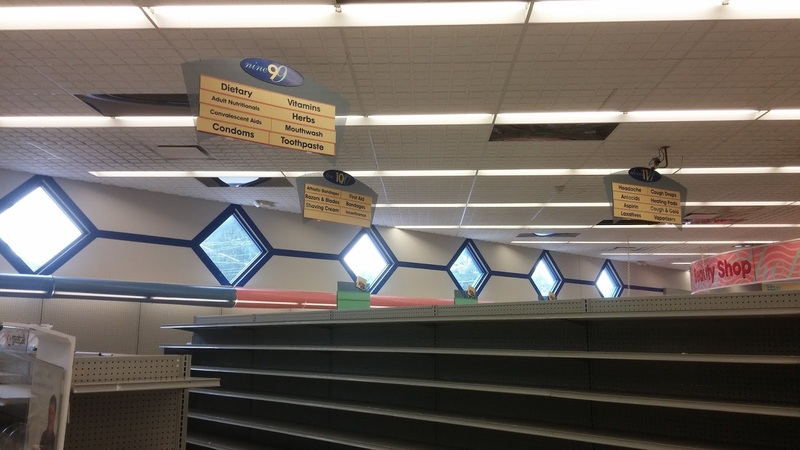 In any case, we do get a good glimpse at those signature diamond windows, as well as a trio of aisle markers, so not all is lost here. Although it does severely bug me that none of the aisle markers appear to be placed in a straight line. It appears this aisle is actually back on the left side of the pharmacy, so its inclusion here kind of messes with the flow around the perimeter walls that I was trying to guide this post in, but at this point it'd be more of a hassle to try to move it, so it's easiest just to leave it in this spot :P Seems as good a time as any to mention, though, that while I was poking extensively around the school supplies aisle (trying to score some bargains - more on that later), two employees standing nearby working on stocking (or consolidating/relocating) merchandise were discussing their futures, now that this store had been bought out by Walgreens and would subsequently be closing. 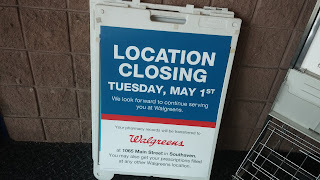 One employee responded that he would soon be working at the Walgreens at Stateline and Airways, which is not the one across the street from this location but instead just a little bit of a ways to the east along the same road. 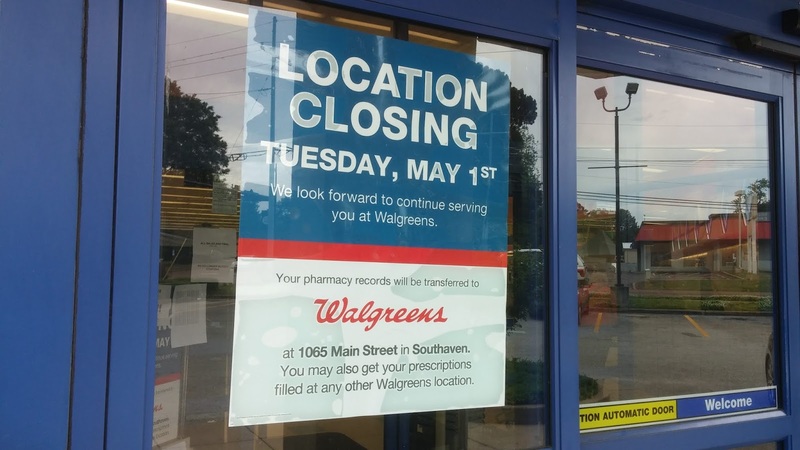 I'll hand it to Walgreens in that regard - while I don't think it's cool that they bought all of the Rite Aids that they did only to turn around and close most of them, they do seem to be making an effort to provide jobs to the affected employees, as well as continue to take care of the customer prescriptions (which, of course, was the main driver behind the purchase in the first place). 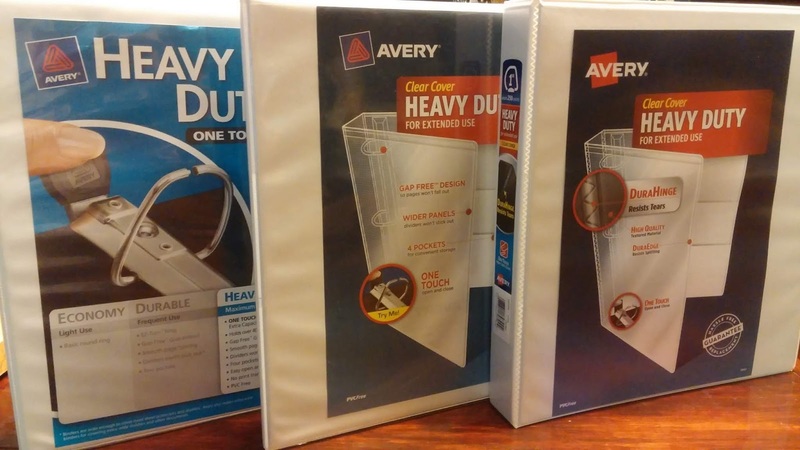 So at least they're not leaving everyone out to dry. 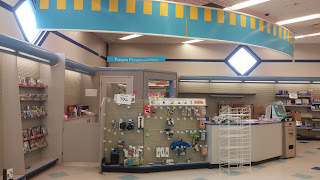 Alas, I kept my desire for the signs in check, and instead stood back up and took this shot, looking over toward the checkouts and the photo center - in essence taking us right back to where we started back at the top of this post, after I had stepped in the store to begin with. Full circle! 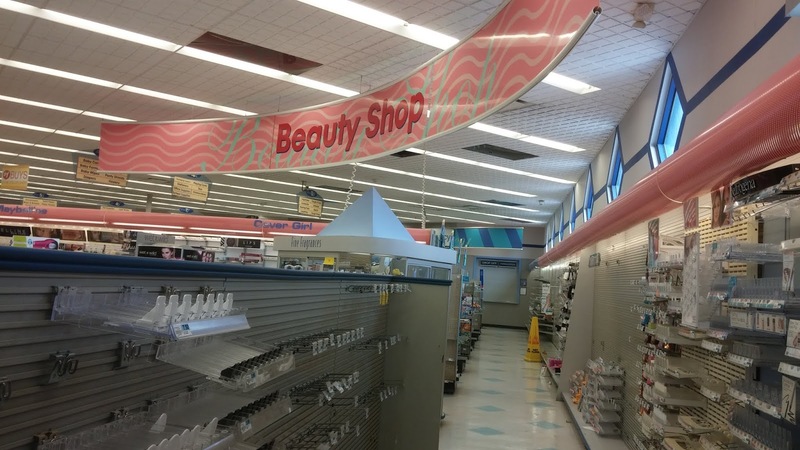 One last, straight-on look at the Beauty Shop, to serve as our final décor-focused interior shot of the store. I believe I got fewer photos at this location as compared to the Horn Lake Rite Aid, but you have to remember, I had just come here immediately after photographing that one, so by the end I was growing pretty tired of taking pictures of what was essentially the same exact store, just with a slightly differently-oriented layout. Plus Southaven here was busier than HL was, and as I mentioned earlier, there were more employees out on the salesfloor, too. Just before leaving - literally, as we were checking out, if I remember correctly - something compelled me to search back through one of the aisles close to the registers, which was stocked with random merchandise unrelated to any specific department. 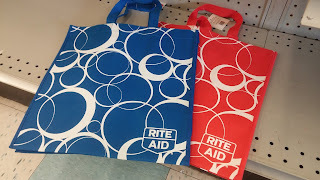 Within the aisle, hiding away on the bottom shelf, I hit the motherlode: look at these two awesome Rite Aid-branded reusable bags! 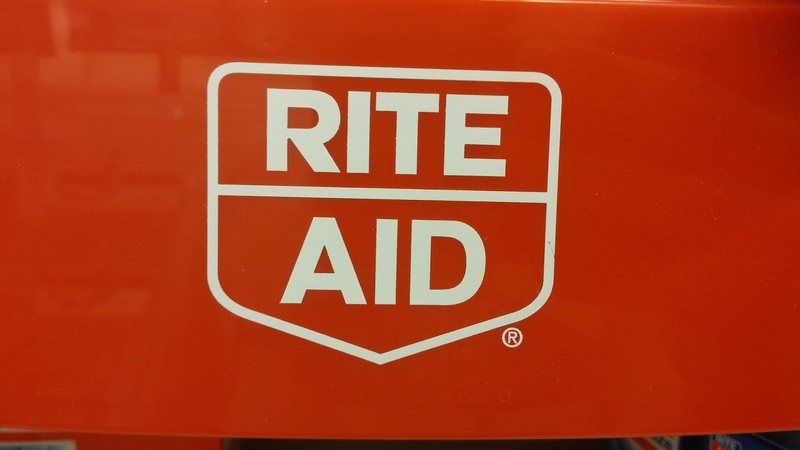 Of course, if a chain is completely disappearing from my area, you can bet I want something with its logo on it to remember it by :) So, obviously I had to pick one of these up! 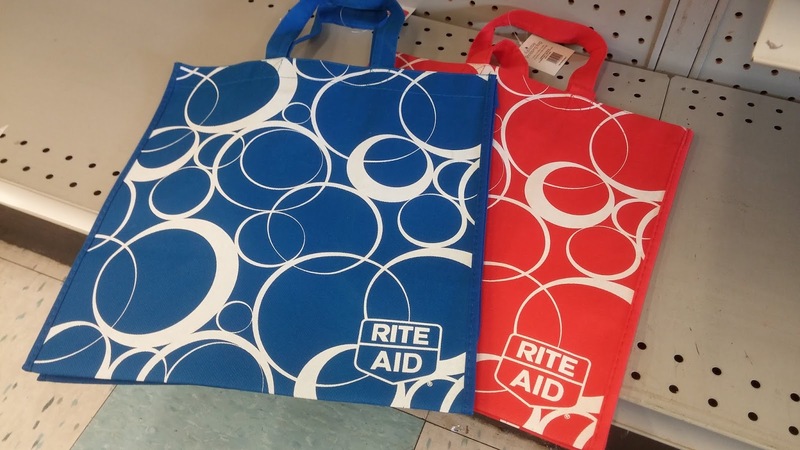 I couldn't justify buying both (even though they were cheap, I simply didn't need two of them), so I went with the blue one, leaving the red one here for someone else to hopefully pick up and enjoy for themselves. But before I did so, I simply couldn't resist getting a photo of the two of them together - they just complemented each other so nicely, I thought! Back inside the vestibule, on our way out the door we find a couple more standees reminding us of the pharmacy's closure eight days prior to my visit, as well as the ongoing liquidation sale that would ultimately lead to the entire store's closure several days after my visit. Unfortunately, I don't know when exactly that was, but given that the Horn Lake store wound up closing on May 14th, 2018, I'd guess Southaven probably did so as well. 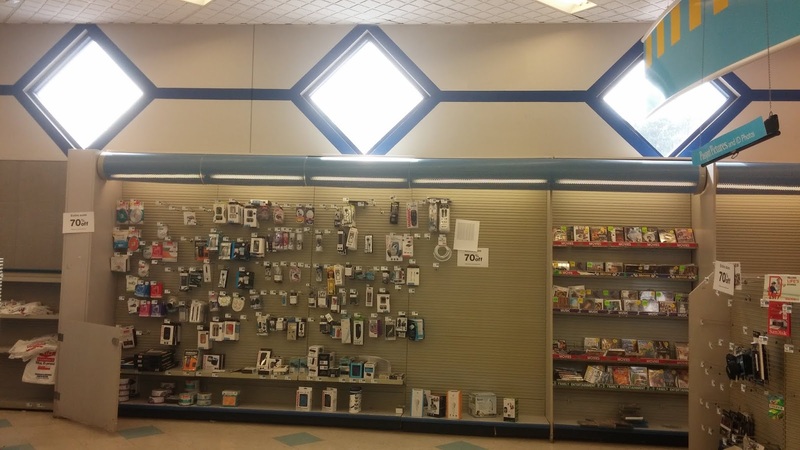 From beneath the pylon, here's a wide view of the store, encompassing the entire building. Note once more how all the "pharmacy" references had been blotted out, and that red banner on the Stateline side of the storefront advertised the liquidation sale. 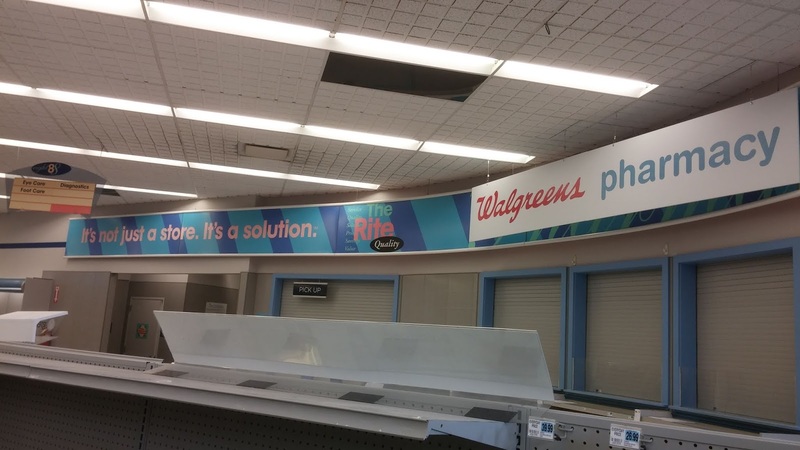 A similar, white banner would later join this one, notifying customers "Your prescriptions are now at Walgreens." 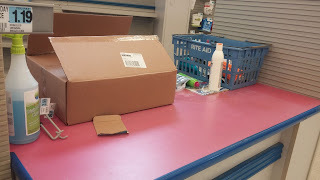 This final section of the post transitions into some shots I took after the fact, beginning with my same-day photos of my purchases and other stuff I picked up, such as my receipt and a price discount chart, seen above. 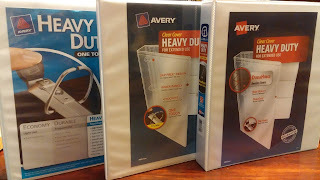 Similarly, I picked up two of those Five Star brand three-subject notebooks; not the brand I normally use, but still, I was caught up in the glow of the liquidation. 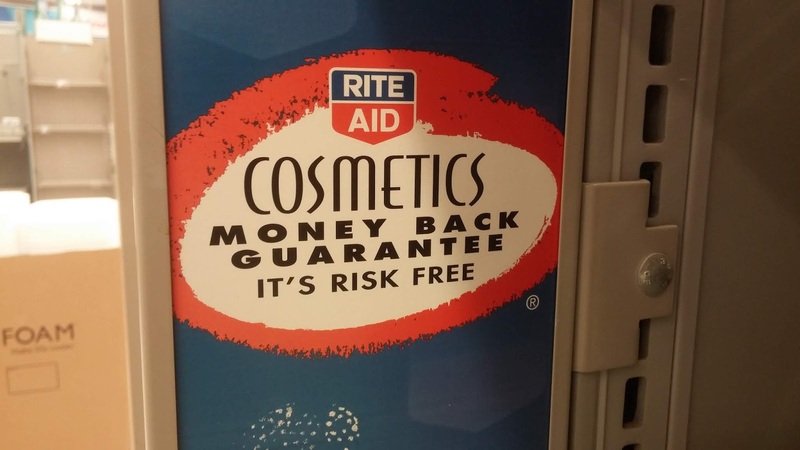 Unfortunately, even with the discount they probably weren't the best deal. Which makes it all that much worse, considering one of the two that I bought, I later wound up discovering has a copyright date of 2006 and pages so yellowed that it's hard to tell where exactly the blue lines are when I'm writing. 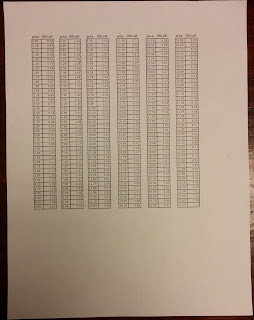 Thank goodness the semester's almost over. 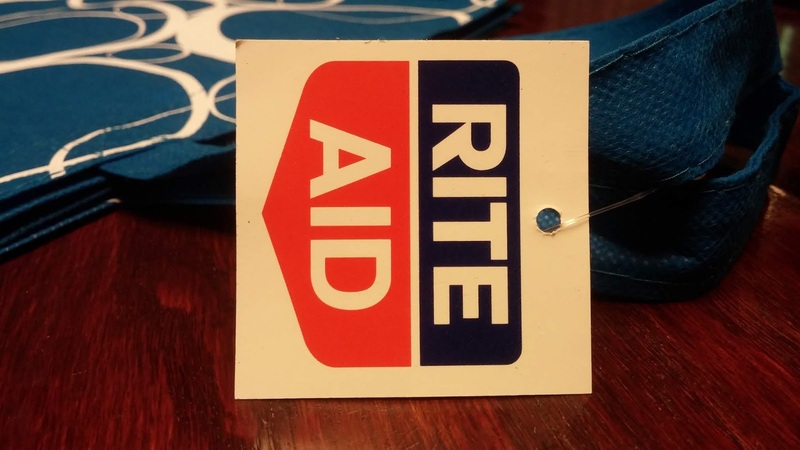 Just a couple of close-ups of my blue Rite Aid reusable bag and its similarly Rite Aid-branded pricetag, after I had gotten it home. 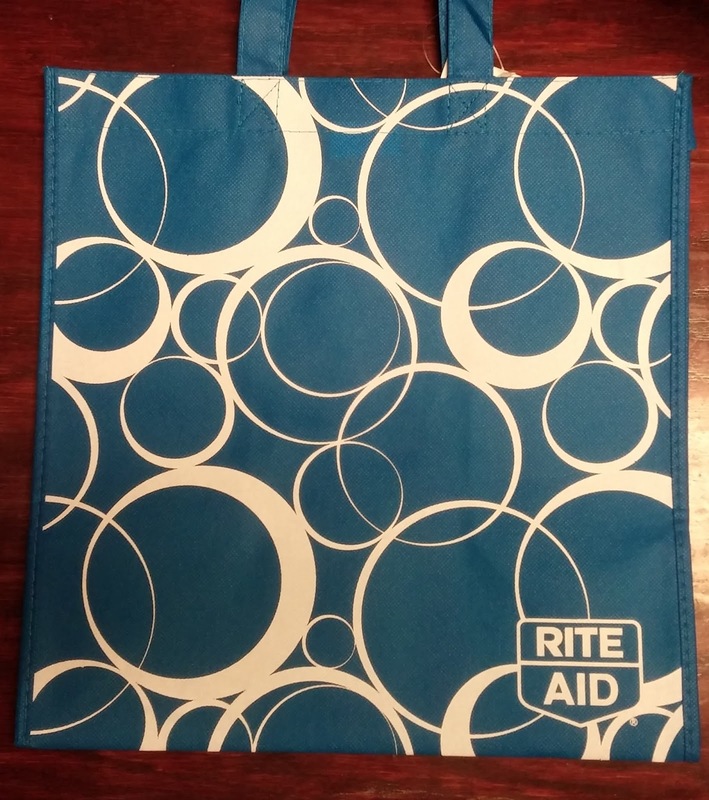 I also kept a couple of regular plastic bags from Rite Aid, although I can't remember now which store(s) I got those from. 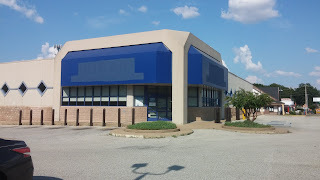 In any case, since none are photographed for this post, I'd assume Southaven isn't the location in question! As an epilogue of sorts to this post, just like with the Horn Lake store I revisited the Southaven Rite Aid a few months after its closure, in order to get a few follow-up photos of the property. 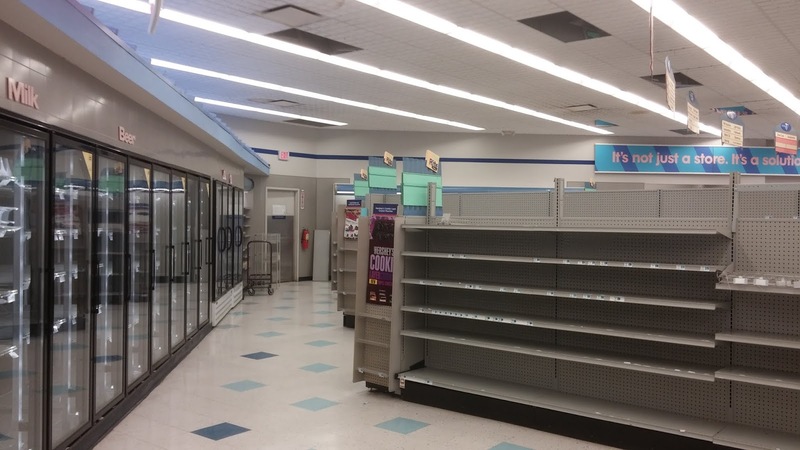 Those pics, taken on August 4th, 2018, are going to close us out for today. As you can clearly see, the place remains totally vacant following Rite Aid's departure, with all brand references and other signage blacked out or removed as well. 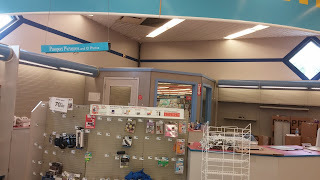 At the entrance, the alarm barricade has been drawn, and a simple piece of paper taped to the window which reads, on two separate lines, "STORE CLOSED/THANK YOU." 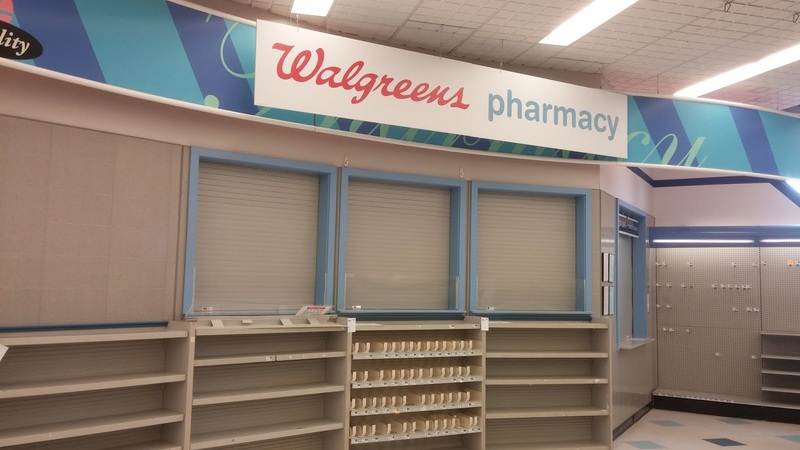 The "FOR SALE" sign leads to a real estate website which appears to have been tasked with marketing a majority of what is dubbed Walgreens's "disposition portfolio." 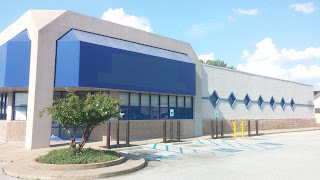 A lease listing I've seen for the former Horn Lake store on LoopNet suggests it finally comes available as of this month, April 2019. I drove past there last weekend and saw that it's in pretty poor shape, at least awning-wise: one is completely coated yellow in pollen, and the other has been partially ripped away by some strong winds. The parking lot is home to a tractor-trailer convention. 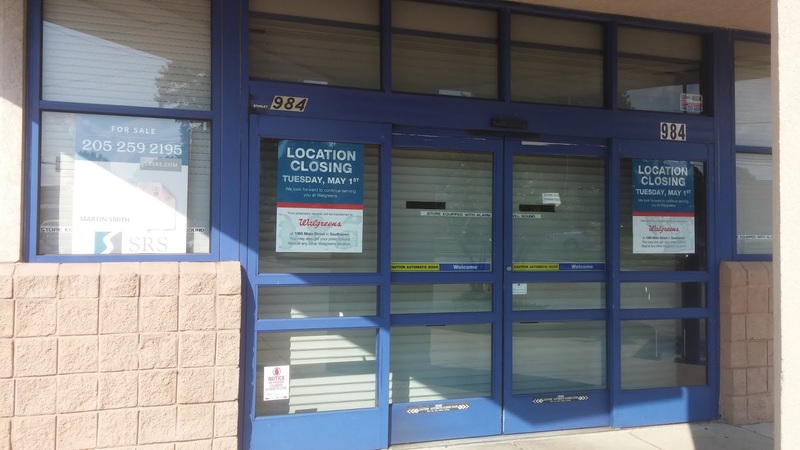 It could use a new tenant for sure. 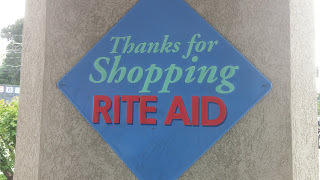 The remains of the former "Thank you for shopping" sign. 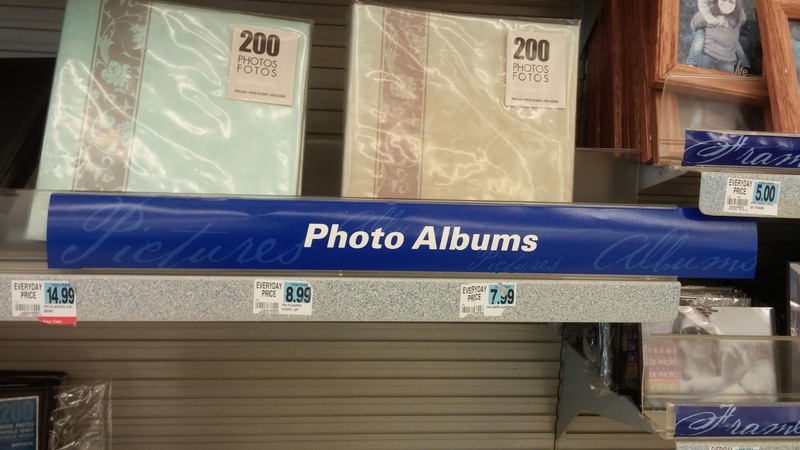 I was hoping someone might have accidentally forgotten that, and left it up. Would've been neat to see it still intact. Oh well. 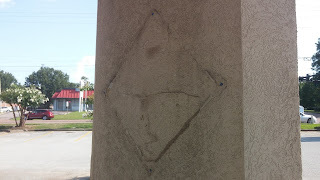 Somewhat satisfying my desire to see something left intact, however, was the pylon sign at the street corner, which technically did get a paint-out job, although not a very good one by any means :P In their defense, though, it's pretty darn impossible to cover over something that's clearly embossed three-dimensionally! 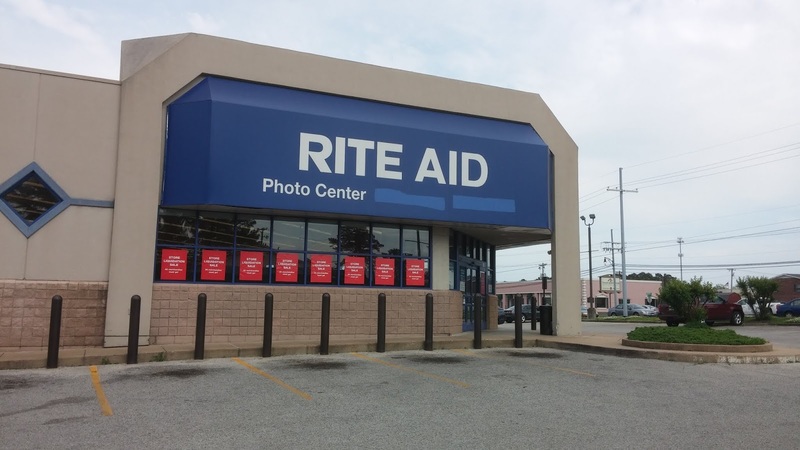 Look closely at either of the awnings: if the light hits it just right, you can still make out the old Rite Aid text on both of them. 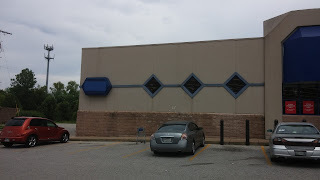 The building still looks like this today, as far as I'm aware. I haven't paid close enough attention to check on the condition of the landscaping or the presence of eighteen-wheelers in the parking lot, but I believe those are problems plaguing Horn Lake more than Southaven here. 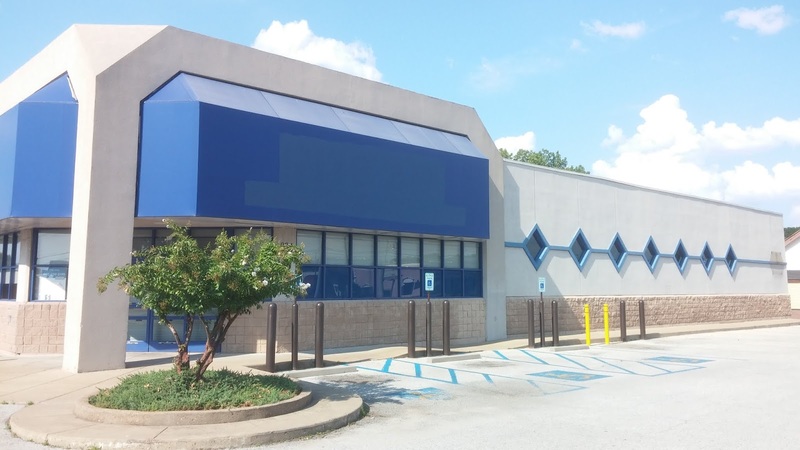 In addition, Southaven's blue awnings remain that color - something they always seemed to do, whereas Horn Lake's faded easily. Strange how things work like that. Well, that's all for this post. But we're not done with Rite Aid just yet here at the MSRB - to the contrary, there are at least four more Rite Aid posts coming your way in the future, so stay tuned for those! 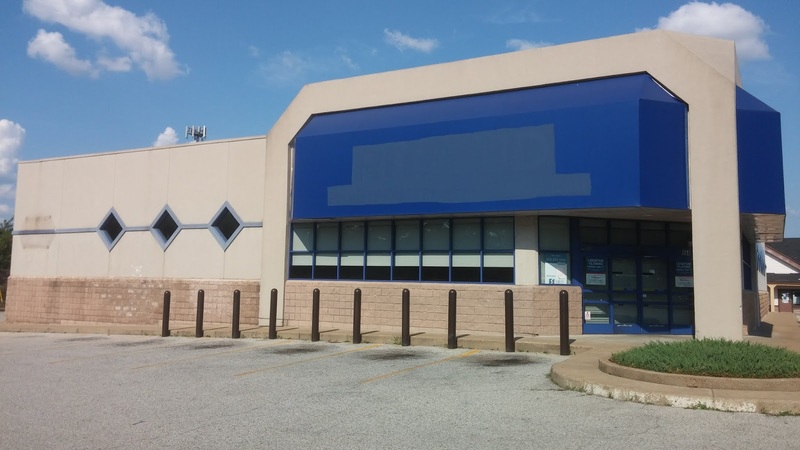 The next one should hopefully go up in August, if all goes to plan. And between now and then, there will be plenty more new content to come over the summer as well, so there's lots to look forward to! 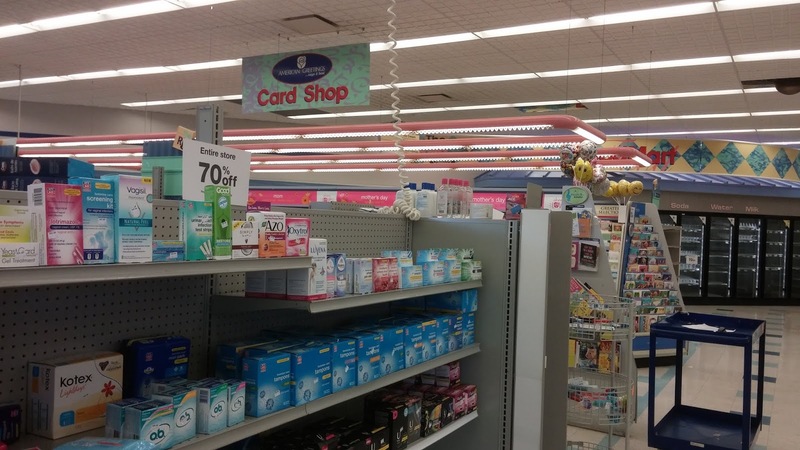 Please be sure to check back for all of that, and have a great Easter holiday this weekend, for those of you who celebrate :) Until next time and as always, have fun exploring the retail world wherever you are! 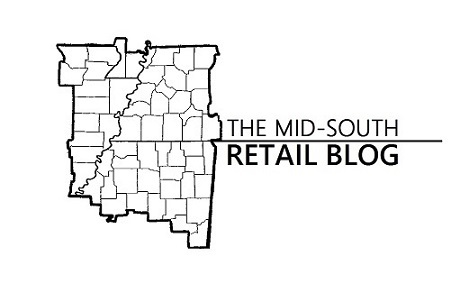 Welcome to the Mid-South Retail Blog! 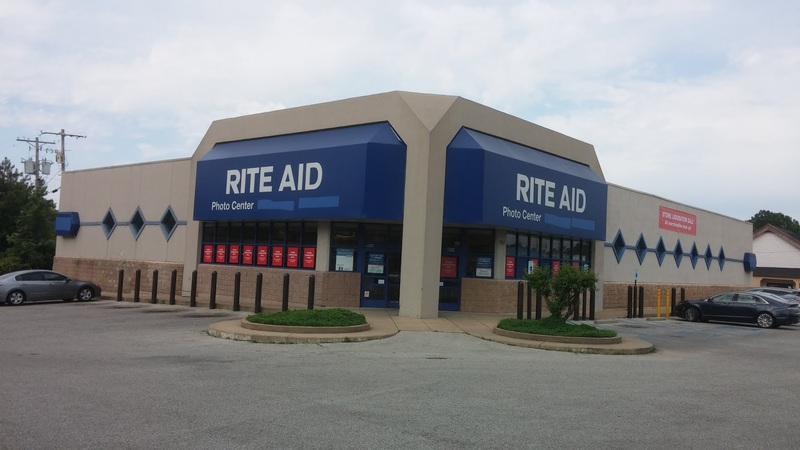 Be sure to visit the pages for our Seessel's, Kroger, and Rite Aid series as well! 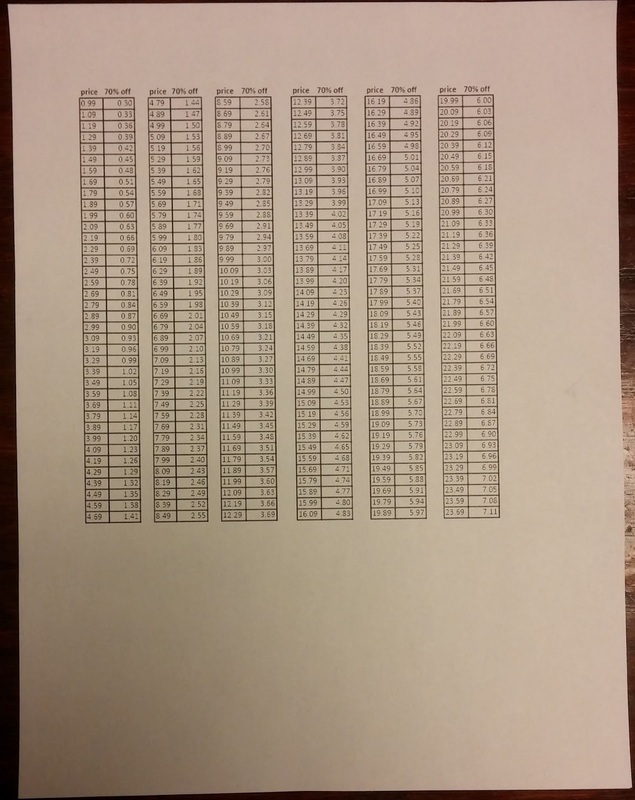 Content (c) contributors unless otherwise noted. 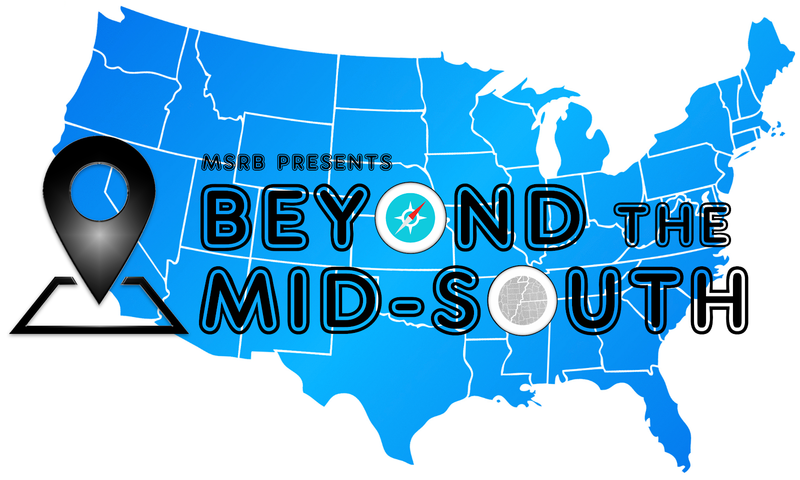 MSRB is unaffiliated with featured organizations. Simple theme. Theme images by Maliketh. Powered by Blogger.